Last month, Gizmodo uncovered a disturbing scheme where Twitter spammers were apparently impersonating more than a dozen real women to sell diet pills. Now, it seems, the site is introducing new rules to help stop fake accounts like these. 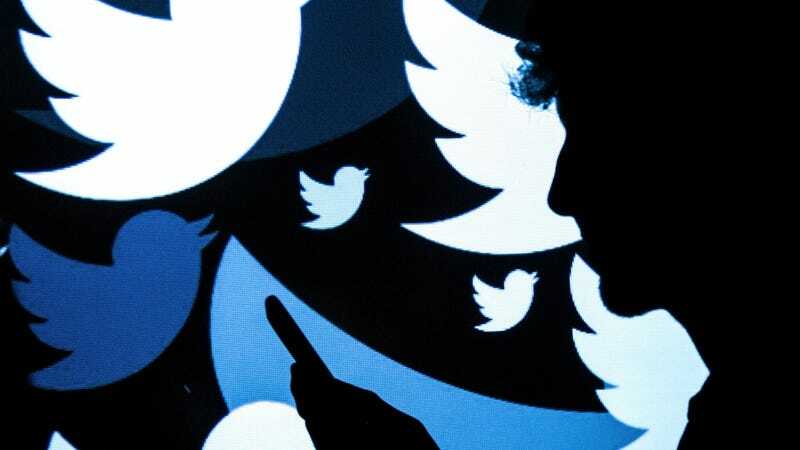 On Monday, Twitter announced several updates to the company’s policies aimed at fighting “emergent, malicious behaviors” by fake accounts, repeat offenders, and the spread of hacked information. In Monday’s blog post, Twitter said it was aware of complaints that its “rules about spam and fake accounts only cover common spam tactics.” Under the new rules, Twitter will consider additional factors, such as whether potentially fake accounts use stock or stolen avatar photos and stolen or copied profile bios. Together, the company says these polices reflect its mission to halt evolving “platform manipulation tactics” and inauthentic behavior. Additionally, Twitter said it is expanding its “enforcement approach” to target accounts that “deliberately mimic or are intended to replace accounts we have previously suspended for violating our rules.” Previously, Gizmodo asked Twitter if there was a way to report multiple accounts simultaneously, as suspended spammer accounts were quickly replaced with duplicates. At the time, we were directed to a June blog post highlighting the site’s use of machine learning tools. Finally, Twitter has updated its hacking policies to prevent the dissemination of hacked content. While threats to hack were previously banned, the rules now explicitly prohibit the direct distribution of hacked information “that contains personally identifiable information, may put people in imminent harm or danger, or contains trade secrets.” Twitter also said it is expanding the cases where it will suspend accounts directly connected to hacking. In the blog post, the company stated that commentary on hacks, such as news articles about them, “are generally not considered a violation.” And the new rules continue to allow parody and fan accounts, so long as they use language like “fake” or “parody” in their names and bios to clearly state that they are not affiliated with their subjects. Twitter framed these rule updates as part of its efforts to protect the integrity of the United States’ upcoming elections, highlighting the recent suspension of accounts impersonating state Republican parties and ones connected with apparent coordinated behavior from Iran. When you’re facing regular public floggings on Capitol Hill, of course, protecting the sanctity of the union might sound like a nobler cause than addressing the bizarre spam schemes going viral on your site.